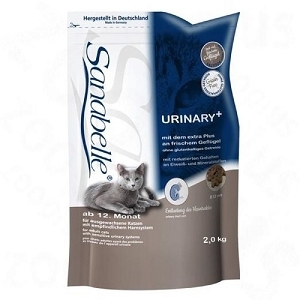 Sanabelle Kitten+ delivers high quality protein packed in the gluten-free kibble with great taste. Rich in natural chondroitin and glucosamine to support and maintain bone cartilage. Energy rich with high nutrient density. 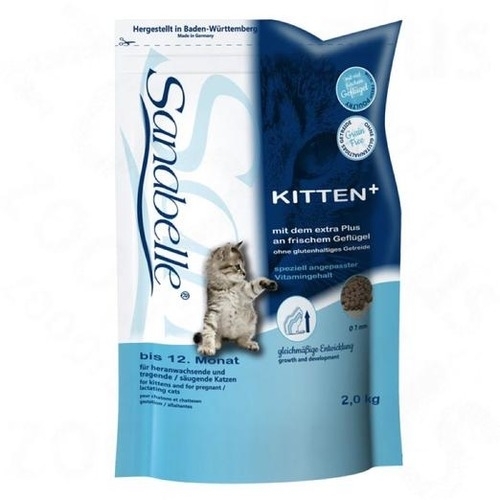 Sana Belle Kitten ensures due to its above-nutrient density for optimal growth and adolescent kitten, the increased nutrient requirements for the education fetuses in pregnant and lactating dairy education in cats. 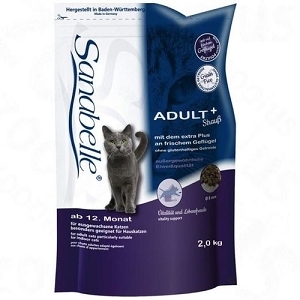 Sana Belle Kitten supported because of its outstanding quality protein in conjunction with nutrient density above the optimal development adolescent cats. The extensive set of vitamins and trace elements to strengthen the defence force and promote the vitality of adolescent cats. Poultry meat meal, corn, barley, animal fat, liver flour, greaves (dried), fish meal, Fleischhydrolysat, meat, flour, whole (dried), dried beet pulp, linseed, yeast (dried), fish oil, potassium chloride, cranberries (dried), blueberries (dried), shellfish meat meal , Chicoreepulver, marigold blossom (dried), yucca extract.